Union City is the 4th safest school district – and safest urban district - in New Jersey, according to a recent study of every school district in the State. 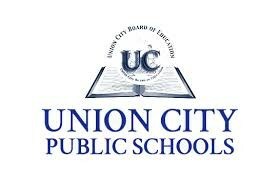 There is at least one Union City Police Officer in every school, as well as a strong police presence near every school. The district has its own force of trained security guards on duty in every school. It also uses a nationally recognized safety firm, Buckley Petersen, managed by two former Federal law enforcement agents, to provide the district with invaluable safety and disaster planning and the latest tools and technology for effective public safety. The district has also invested wisely in the most effective surveillance technology so that every area of every school is monitored constantly. Mayor Brian P. Stack says the City will continue to do everything possible to keep our schools – and our entire community – safe. Niche.com, the publisher of Niche Safety Guide for school districts nationwide, used rigorous data analysis and millions of reviews to produce the study. The data, much of it from the U. S. Department of Education, contains ratings by parents and students on health and safety, and rates for expulsions, suspensions and school-related arrests.